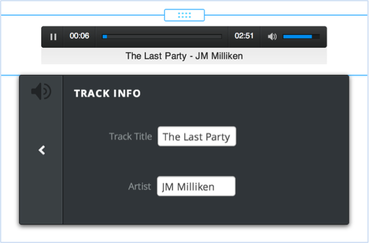 The audio player allows you to easily add music, podcasts, or other audio files directly to your website. Keep in mind that our audio player currently only accepts audio files that are specifically in MP3 format. If your audio is in another format, you'll need to convert it or else it won't work. Go here to see how to convert an audio file to MP3 using iTunes (opens in a new window). Use the Advanced option to turn Auto Play On / Off (this is set No / Off by default) - if you turn Auto Play on then the audio will being to play as soon as the visitor opens the page. 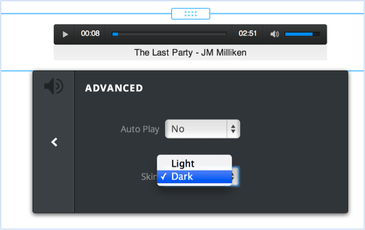 You can also select between a Dark or Light color scheme for the player.